Finding ways to 'unjunk' junked items and converting seemingly useless things into some usefulness can be an interesting pastime.... if we have a will and whim. Here are some of my own projects. When audio cassette tapes were popular, I was also listening to the Hindi and Kannada film songs from my collection. 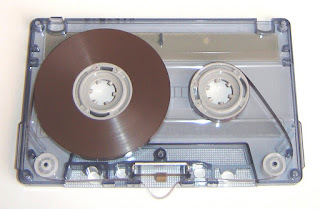 Rewinding or forward winding was necessary. The normal way to do that was by pressing the << or >> buttons provided on the tape recorder. My music collection in Cassette Tapes. National Panasonic Stereo Radio/Cassette Player, bought September 1984. This was shortly before Radio License Fee was removed by the Dept. of Telecommunications! I had paid the fee of Rupees fifteen twice, annually. But I just wanted to do it manually at times, which appears crazy! For minor works like that the most suited manual tool was the hexagonal pencil . But a "Reynolds" ball pen with its hexagonal was better fitting. 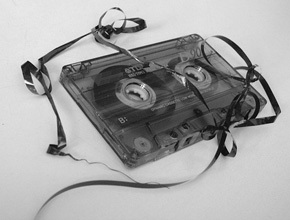 This is an amazing connection between a pencil/pen and an audio cassette tape! Cassette image from the web. I had this tool ready on hand near my desk where I had kept the player. It had also become my time-pass hand toy which I simply twirled while listening to the songs! I have misplaced it at the time of posting this, so no picture of it is here. Your comments will be published only after the author of the blog reads them. Thanks.